Annual membership renewal information has been emailed. 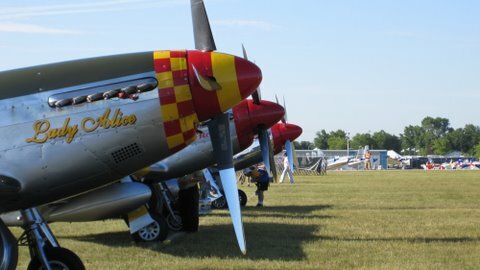 The National Aeronautic Association (NAA) and the Air Care Alliance (ACA) created the National Public Benefit Flying Awards to recognize the significant contributions to the Nation of volunteer-based Public Benefit Flying and the outstanding work of the individuals and organizations engaged in this humanitarian activity. Since 2003 dozens of awards have been presented at the celebratory "Above and Beyond" awards ceremony, held each fall in the United States Capitol Building. Nominations will be accepted via email only through May 31st. Each year many leaders of public benefit flying groups enjoy sharing their experiences and practices at the Air Care Conference. In addition most of the groups, whether ACA members or not, understand the importance of completing our annual survey of operations so we can report to the media and the public how many flights are provided by volunteer pilots to help those in need and our communities. Another very important value of sharing your group's information is to emphasize to our elected officials and to agencies such as the FAA and NTSB the scale of our charitable activities and how important they are to those served by our volunteers. Many of your groups have provided us information requested by the NTSB in response to their recommendations for enhanced safety, following a few tragic accidents several years ago. We will be discussing how groups ensure best practices for their staff and pilots at this year's conference. In addition we will be sending out a survey form for all groups to indicate how they may be responding to the NTSB recommendations. Please work with your own group's leaders to make sure the survey is completed and your information is shared. You will help both your group, all your volunteers, and all those in other groups by participating in the survey! It has been a busy year since our terrific Air Care Conference last year in Providence and we are making final preparations for another outstanding event in New Orleans! Philip Thomas and Pilots for Patients have pulled out all the stops and everyone who attends is in for a huge dose of good ole' "Suthun Hospitality." The ACA Board has also been working hard on finishing our Web project and our AOPA/ACA Online Safety Course that we have all been waiting for. The nationwide media project is in full swing and if you have been watching the blogs, you have seen a tremendous upswing in the amount of print and TV coverage on your wonderful Public Benefit Flying activities. Keep up the great work in getting the word out. Speaking of recognition, we are announcing the opening of nominations for the National Aeronautic Association Pubic Benefit Flying Awards. The nominations period is open and I encourage each and every one of you to nominate one of your fellow volunteers or a derserving group. These awards are a wonderful way to honor those who are doing so much to help their fellow citizens out. 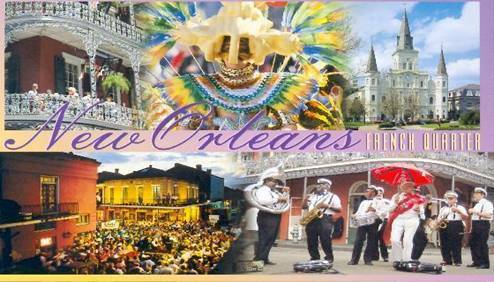 Thanks for all you are doing and I hope you can join us in April for a wonderful time in New Orleans! 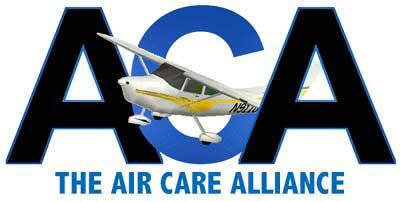 Air Care Conference - Register Now! Our hotel venue for the 2012 ACA Conference will be the Hilton New Orleans Riverside, located on the banks of the Mississippi River and adjacent to the famous French Quarter. Check it out at www.neworleansriversidehotel.com. NOTE: The conference hotel is now full! There are other hotels with rooms nearby and in nearby communities. Because of the area festival they are filling up fast. Please run a search and book your rooms now. Some hotels with rooms as of March 20 are: the Four Points Sheraton located in Metairie 3 miles from the New Orleans airport and 9 miles from the French Quarter www.starwoodhotels.com; also the Wyndham, the Holiday Inn French Quarter, and the Royal St. Charles near the Hilton. Most of the more affordable hotels seem to be out near the airport. asked its public relations agency, Barton Gilanelli & Associates (BG), to convince local and national media to do stories about Air Care Alliance members and their missions. Click on the following links and you'll see several recent examples of BG's efforts to generate local coverage. The groups mentioned are reporting tremendous enthusiasm from the public for their work as a result of the articles! To help them help you, you'll be receiving an email from Judith Eckles, BG's senior PR account executive. The email is a media pitch with blanks for you to fill in the details. Of course you can also provide additional facts and information. 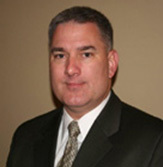 Most importantly, BG asks that you provide the details for a compelling mission. They will take that info and turn it into a creative pitch intended to motivate the media to do a story. Working together, their goal is to get your local media to do stories just like the one you read a few moments ago. This story resulted from a media pitch that included information similar to what they're asking for now. Let BG help you raise your visibility in the community to help you to get new pilots, new patients and new donors! Incorporated in 1995 Wings of Mercy East Michigan provides free air transportation in private aircraft to and from medical centers for individuals who otherwise would not be able to travel. 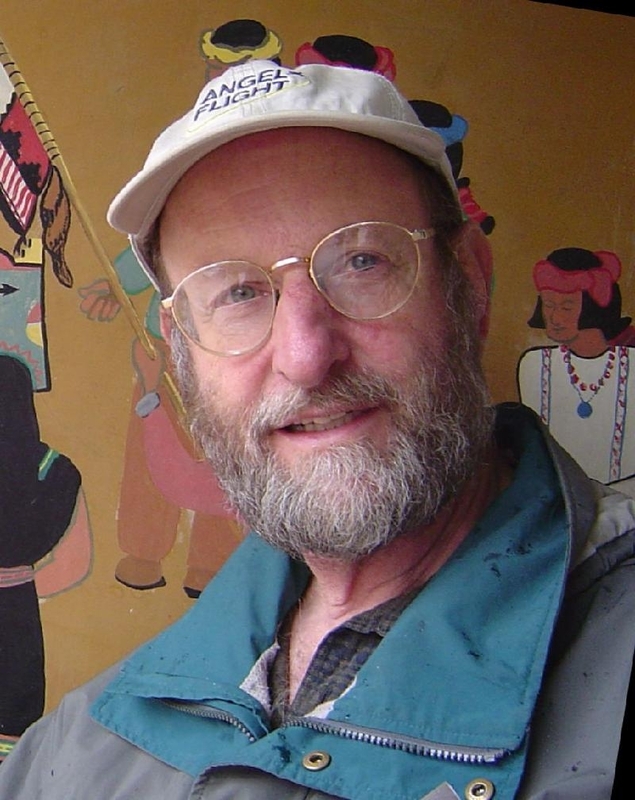 The organization has traveled 38.9 times around the world for their patients. They serve the Eastern half of Michigan's Lower Peninsula. Flights are coordinated utilizing a Virtual Private Network that links their Flight Coordinator and Screener. 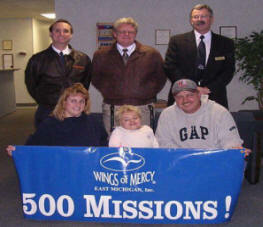 Wings of Mercy East Michigan does reimburse their volunteer pilots for fuel per an FAA exemption letter specific to the organization. Founder and President, Cody Welch, shares his favorite story - "This past year I was given the opportunity to fly 'Helen' from Asheville, NC to Oscoda MI. 'Helen', a slightly built woman in her late 60's was delivered to the FBO in AVL via ambulance from the hospital. Her entire worldly possessions were contained within two small suitcases. She has cancer in her spine and required a large quantity of medical oxygen. 'Helen' boarded our single engine Jetprop and immediately engaged our crew with her wit and humor. She spent the majority of the flight staring out the window, obviously deep in thought. At one point she blurted out a question on our intercom.. "Do you know why I am flying to Oscoda?" I answered no, we don't... She responded that she was going to live with her friend. Nothing else was offered. After shutting down in Oscoda on this clear winter day, an original Chevy Suburban came rumbling up to the plane. This vehicle was completely rusted out, the windows were hazed over and it was riding quite high in the nose with the rear shocks completely depressed. A late 60's gentleman with a large white beard exited the vehicle and immediately pulled me aside to talk. He inquired about whether I knew what was going on. When I said no and that we respect the privacy of our recipients, he asked if he could share his story. He said that he and 'Helen' had been in love as younger people and that he should have married her 40 years earlier. Life got in the way and the two went different directions. His wife had died within the past year and he recently learned that his first true love was also dying and penniless without family. He told me that there was no way that this fine lady would spend the rest of her days alone and that he was going to love her and take care of her. At that point he greeted 'Helen' for the first time in 40 years. The look on her face will be forever etched in my mind. My final memory of this flight is of 'Helen' sitting in that Suburban with her first boyfriend, bearing a grin that was all telling. They drove away like teenagers in love. All was right in their world.